It had been three decades since the Oscars went live without a designated host to front the annual celebration of entertainment. This year’s telecast bounced lightly, for the most part, from presenter to presenter and went all-out for inclusivity in an attempt to refocus attention on the awards and not the gaffes beleaguering the ceremony over recent months. Sunday night’s ceremony, the 91st, was left without a public face after Kevin Hart stepped away from the gig over backlash to homophobic tweets from almost 10 years ago for which he eventually apologized. No other host was named, or seemingly could be tempted to the job. Viewers tuning into the telecast from the official start time could easily have been forgiven for thinking they had instead caught the Grammy Awards. The opening medley of hits from best picture nominee “Bohemian Rhapsody” was performed by the surviving members of Queen and Adam Lambert and delivered a rousing start, but more importantly indicated where telecast producers were directing the show: to emphasize the fun, flashy aspects while incorporating names and faces from the wider entertainment industry instead of sticking with an expected lineup of Hollywood’s acting elite. Viewers randomly tuning in as the evening progressed through its relatively-short-for-the-Oscars running time of just over three hours could still have mistaken the telecast for the Grammys, or the CMAs, or even the ESPYS. Further presenters included music notables Kacey Musgraves, Tom Morrello and Pharrell Williams. Other seemingly random, yet welcome additions to presenting duty included Serena Williams and Trevor Noah. It all added up to an evening of unexpected moments with an air of uncertainty apparent from the red-carpet thanks to inspired sartorial choices from Spike Lee, Billy Porter, Stephan James, and Pharrell Williams’ choice of a camo-print shorts suit. 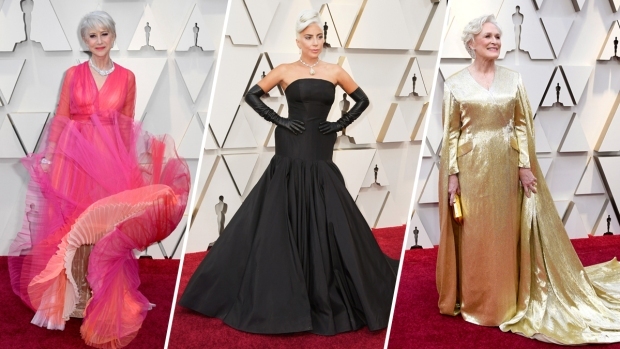 Ratings and platform engagement will ultimately decree if the 91st Oscar ceremony was a hit or miss, but two things were apparent by show’s end: the lack of host mattered not; and while it may not be wide open, Sunday’s telecast indicated the Academy has at last begun to crack the door on inclusiveness and usher in a more global variety of entertainment. Here are a few fun facts about the 2019 Academy Awards you may not know about!